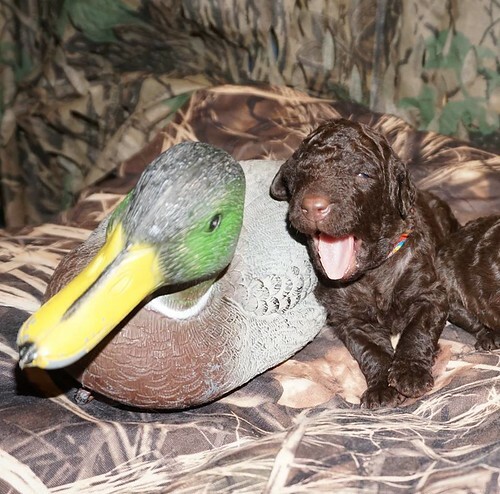 Our breedings are done with careful consideration of proper Curly Coated Retriever breed type, structure, health, biddability and correct retriever temperaments. Please check back often for updated litter plans. We will not be having a summer 2018 litter. Although Tippi has all her health clearances, she came into season sooner than expected. So we decided ot pass on this season and give her a little more time to mature. 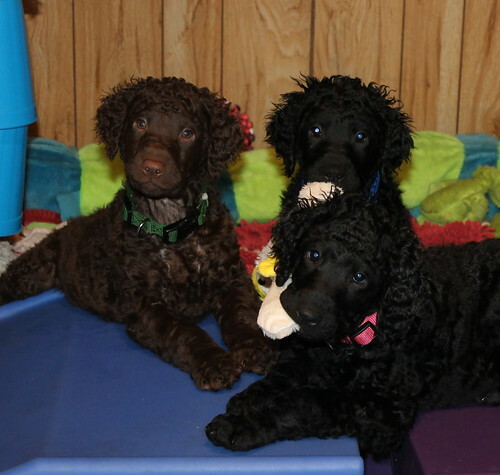 Follow our December puppies on FaceBook! We ask that you fill out the application and send it with a $100 deposit, which will be returned if there is not a pup for you. If I owe you a puppy, it will come from a litter be both agree upon. 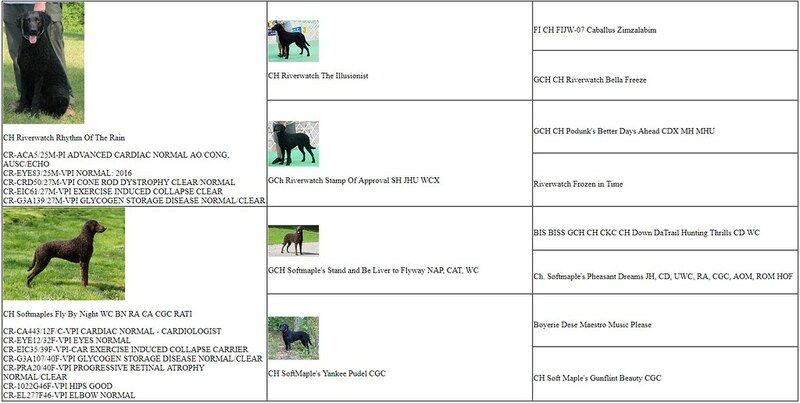 We occasionally sell one of our show/breeding potential females to a family on a co-ownership breeding contract. This puppy would live with your family. We at SoftMaple would help get her health clearances. 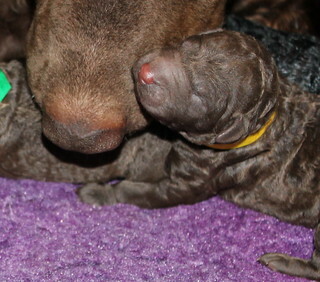 (DNA test, Cardiac, Hips, Eyes) If everything turns out-and you are agreeable, we would borrow her back for one litter. 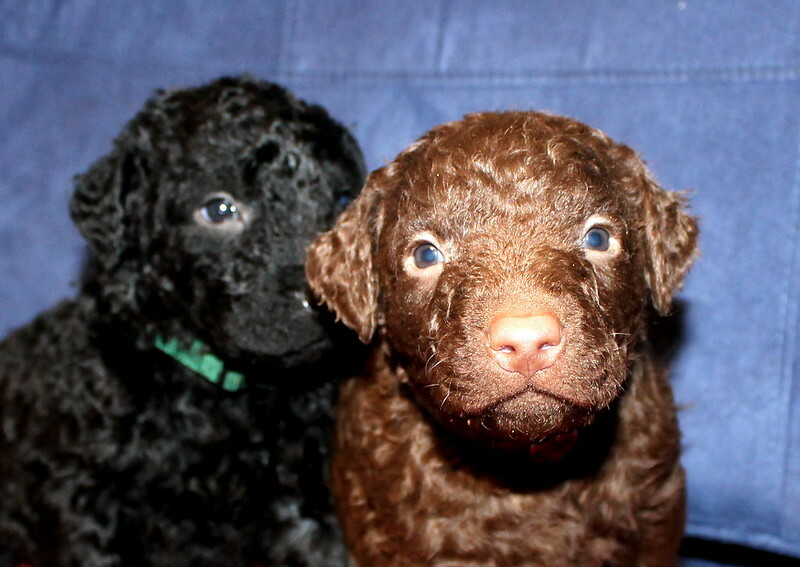 Out of that litter, you would be entitled to a puppy if you were ready to handle two of this wonderful breed! If not, we would provide you with a puppy down the road when you are ready. We do this because we want the best homes for our dogs. We do not keep a lot of dogs here, as we want to give everyone individual attention. 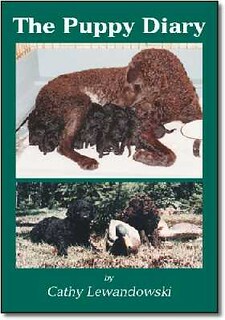 I don't keep a female for breeding then place them in a different home after they have had a litter. They stay with us and grow old here at SoftMaple. 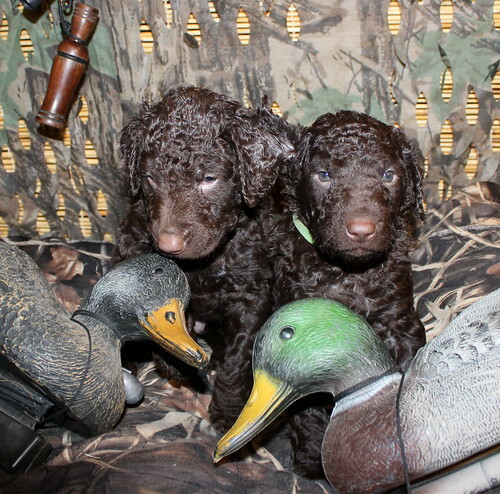 So we lease back our best females to continue our breeding line. While they are here, they are part of our family. And their permanent family are free to visit her and the pups anytime. 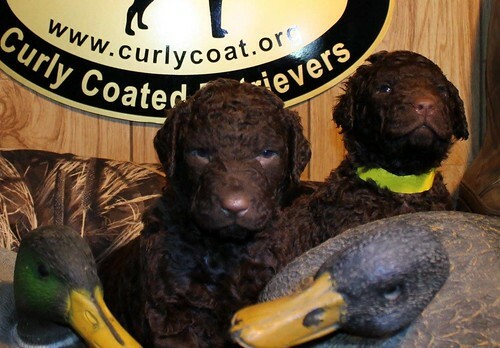 Information on CCR care, grooming, feeding, coat issues and lots of other Curly info! At SoftMaple we take pride in how we raise our puppies. We start them out with selecting the best parents. Making sure we are doing the health testing recommended by our Parent Club. Providing optimum nutrition. 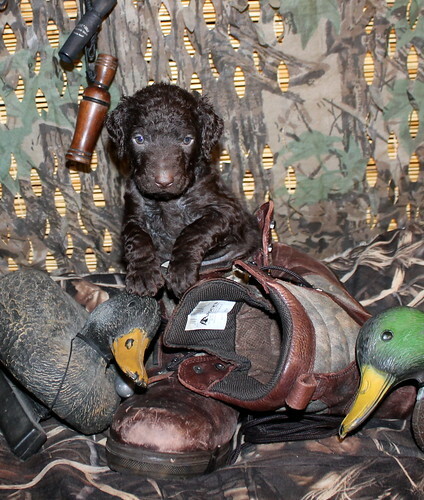 We start the puppies out with the BioSensor method of early neurological stimulation. After that we continue to provide new experiences, stimulation, small stressors. Socialise the puppies in a safe secure environment. 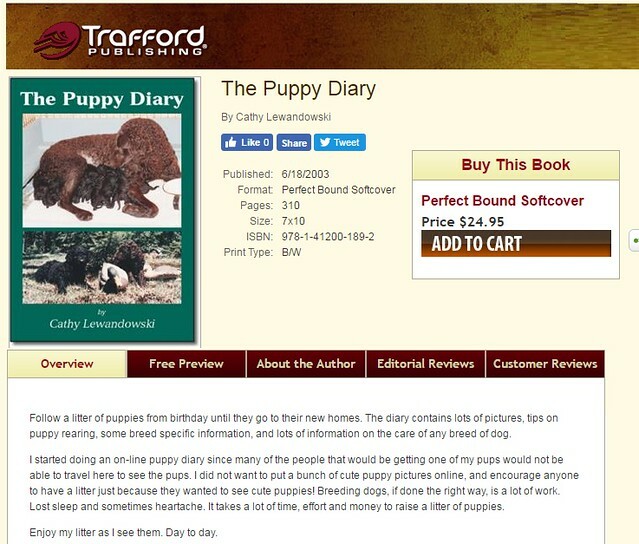 We have adopted many of the methods from Aviddog and Puppy Culture. 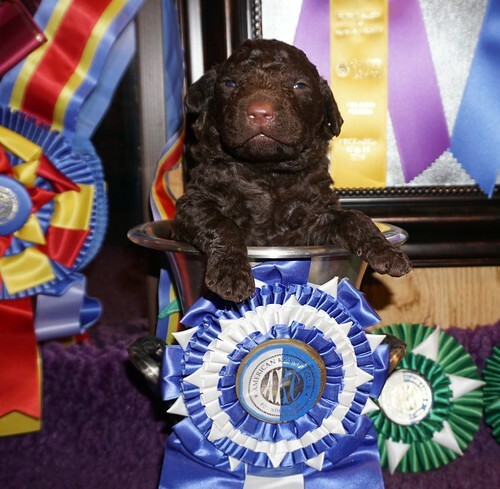 Raising a litter of puppies the right way is a full time job that we take very seriously!